Thanks to Edelweiss for the ARC! This will be published October 2nd. What this book comes down to is that it’s all atmosphere and nothing else of substance. It follows the story of John Pentecost going home to his small town near the moors after the death of his grandfather, affectionately called the Gaffer. He goes to see his father, Dadda, with his new wife, Katherine, who is also pregnant. It’s told in that old, longing for the old times way. Very quiet. Very soft. You have to read close to catch everything that’s unsaid or casually mentioned because the good and bad can come in the same sentence if you’re not careful. And with that writing style comes my biggest issue. I got over 30% into the book with nothing happening. 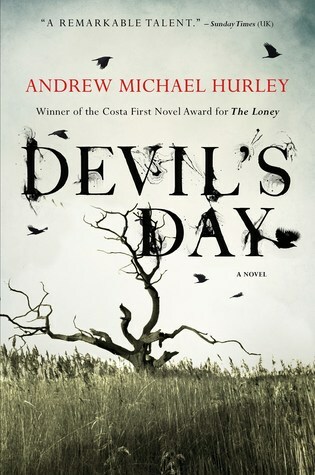 There was all this talk about Devil’s Day — which they celebrate in this town and the Gaffer led every year — but nothing was going on about it. I’m pretty sure that I learned more about the day by reading the synopsis on Goodreads than reading as much as I did of the book. It distinctly reminded me of Cast a Cold Eye by Alan Ryan. I read that earlier this year and DNFed it as well because it had the same writing style. Lots was written but nothing said. Perhaps it’s something about the setting — both were in quiet, northern British villages — but it doesn’t work for me. So, sadly, a DNF. There was nothing drawing me to keep reading it. Do you have a favorite atmospheric horror novel that really follows through with the scary?